Buy exotic Indian Ebony wood turning stock, bowl blanks, cue stock, pen & knife blanks online in any amount you like. No Order Minimums. 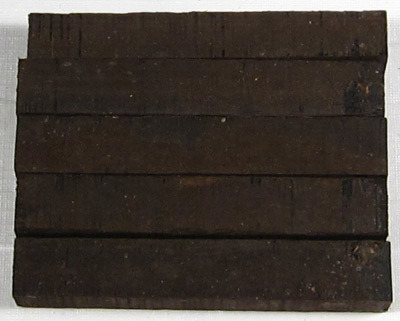 How Black is the Black Ebony? 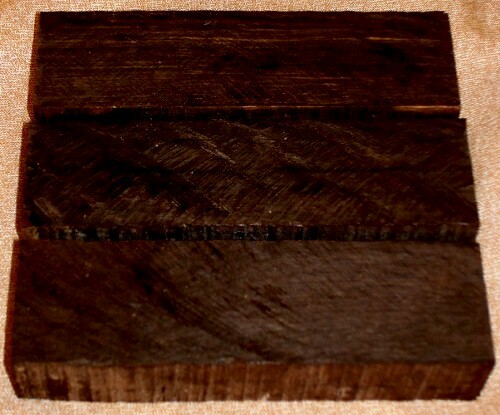 Our Indian Black Ebony is divided into 3 grades. 'Select', 'Regular', and 'Striped'. Pics Only show Ebony Grades & coloring. Not current stock. 1.3 x 1.3 x 11"
1.5 x 1.5 x 2.6"
1.4 x 1.4 x 12"
1.6 x 1.6 x 12"
1.4" x 1.4" x 15"
1.4 x 1.4 x 15"
1.5 x 1.5 x 12"
1.5 x 1.5 x 15"
1.5" x 1.5" x 15"
1.5 x 1.5 x 18"
1.5 x 1.5 x 19.5"
1.4 x 1.4 x 19.5"